If you’ve listened to this podcast, you might have noticed a trend: food bloggers love Instagram. If you’re in the same boat, but you’re confused about how to use Instagram for your blog…or just how to use Instagram in general, today’s episode is for you. 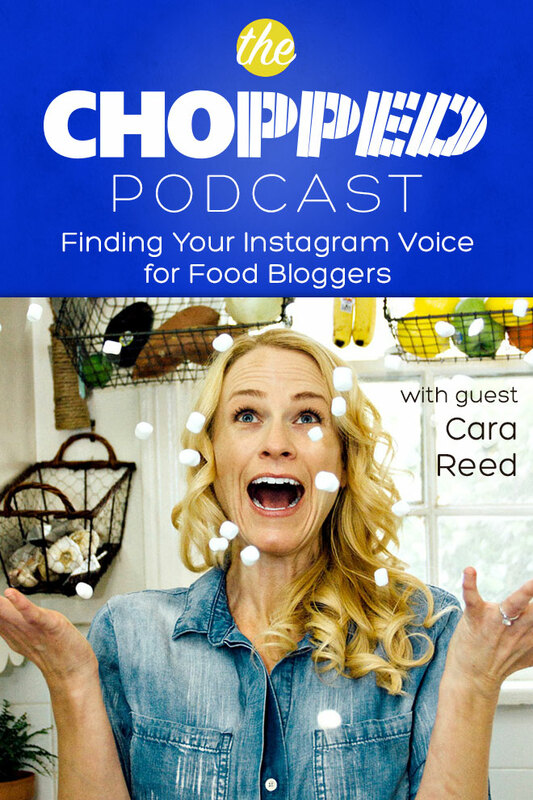 I spoke recently with Cara Reed of the blog Fork and Beans about Finding Your Instagram Voice for food Bloggers. Listen on for all the goodness! I’m so happy to have Cara on the podcast today because if you haven’t been to Cara’s site or her Instagram feed, you should go there soon. Like right now! Cara started her site Fork and Beans four years ago after being diagnosed with food allergies. She started her site to share tips with others on baking without eggs, dairy, and gluten. She had no idea what she was doing, and she spent the first year just trying to figure it all out. Without any baking experience on her belt, she absorbed everything she could and learned something amazing: she found food blogging to be one of her biggest passions! But how did she go from learning to create allergen friendly treats to finding her passion? It all began with rice crispy treats in the shape of Frankenstein. It may seem like a strange Instagram strategy, but for Cara this kind of fun, playful approach — making creative shapes with her food — helped her find her voice for her photography. And now she’s using that same approach for food photography on her blog as well. Because it helped her answer the question, what am I good at? Cara realized the sooner she understood herself and focused in on her true voice the sooner she’d connect with her true audience on social media. Cara asked herself three questions to help clarify her mission for her blog and everything else was much easier to deal with as a result. The answers to these 3 questions — 1) What am I good at? 2) What is my goal with my blog? and 3) Who is my ideal audience? — helps her with her photography, her styling, her recipes, and even how to deal with negative comments. Have you ever tuned a guitar? You can tighten or loosen the string this way or that, but you’ll know it when you land on the right pitch. The string resonates with it! And according to Cara, that is what finding your purpose can do for your blog too. You will resonate and your readers will know it. Finding your passion is such an important thing and Cara encourages that using a social media platform like Instagram can be a perfect playground for you to try new things tpp. Listen in as Cara provides some great tips for finding your Instagram Voice! The favorite app on Cara’s phone is Waze. If you’re interested in the best way to get from location A to Z, this app is for you! Production, music, graphic art & sound design by Shawn Beelman. Today’s podcast episode was sponsored by Best Food Facts. If you have questions about the best way to cook your veggies, or maybe you want to read about the latest on controversial food topics, then head over to bestfoodfacts.org to learn more about all things food straight from university experts! Our next podcast interview is with Nicole Johnson of the blog Or Whatever You Do. 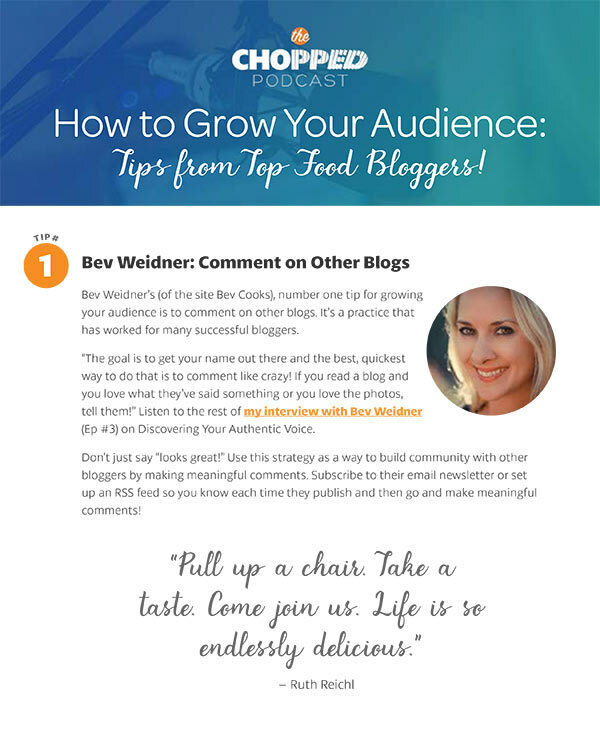 Nicole and I are talking about using CoSchedule for food bloggers. If you’re curious about CoSchedule or already a fan and looking for some awesome best practices, you’ll want to listen in on this episode. Be sure to subscribe so you don’t miss it!